He asked me a simple question. Would I be shooting in HD video? I answered in the affirmative and he recommended purchasing a 16GB Class 10 card. I said great and bought two from him. They were the “Transcend” brand. Now this type of SD card you can pick up from Amazon for around USD$10. At the time there were no larger ones available. That has since changed. You can now buy 32GB and 64GB cards for 2/3 times the price. So we left Australia, hit the road and began shooting documentaries in South America. It wasn’t long before I began to notice that there were some issues with recording footage. I was a complete novice back then and wasn’t sure what the issue was. What occurred was the DSLR would stop recording after a few seconds/minutes. I was using a Canon 550d and was unfamiliar with the technology. So initially I thought there was something wrong with the camera. But after pressing record over and over again, the recording would finally kick in and stay shooting. But I would be worried about the shot stopping at inopportune times. And it would stop…whenever it liked. So I googled it…”why does my camera keep stopping”…”issues with recording on DSLR’s” etc. and was sent on a merry-go-round of various sidetracks of information. I really was clueless starting out! Finally I got to a blog which told me to check the SD cards. Ensure you are using the Class 10 cards…I was. Try formatting the cards…I did. If you are still encountering problems, then try a different brand…so I did! 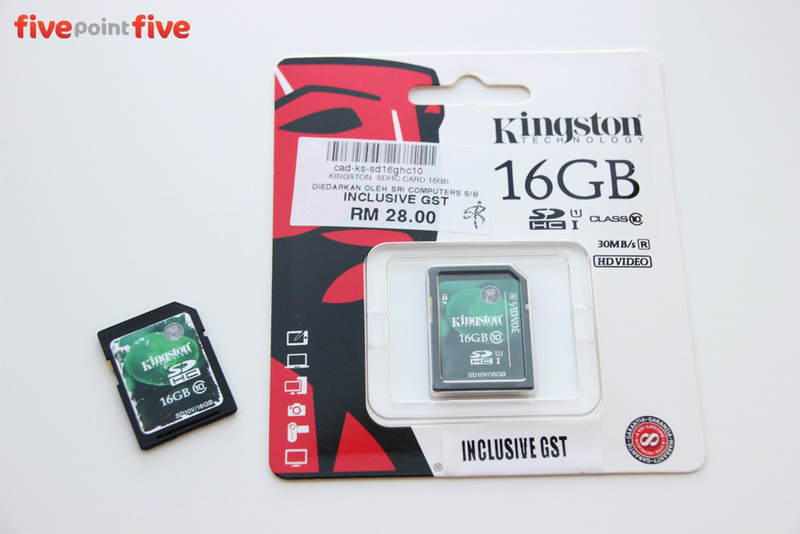 I got online and bought two Kingston 16GB Class 10 cards. They come in a variety of specs, but I bought the basic one, which read Data at 30MB/sec and write it at 10MB/sec. These stats didn’t mean much to me back then. These cost the same as the Transcend ones. The difference was instantly noticeable. I found that the Kingston brand had no issues recording in 1920 x 1080 HD. The issues with the camera saying “Movie Recording Has Been Stopped Automatically” was no more. The camera was working in tandem with the card to give me a smooth and seamless recording experience. So I stuck with the Kingston. My wife used the Transcend for taking photos, but after a few years now, they have become troublesome…they need reformatting and are not reliable. So we have bought more of the Kingston SD cards. And in the future I plan on buying some of their higher end SD’s. Some of the larger and faster cards have specs which make me giddy on the inside. I have truly come full circle…from noob to geek. It only took three years and six SD cards!